Apple’s iPhone X was rated the toughest non-ruggedized smartphone in a new series of durability testing by Tom’s Guide — probably much to the surprise of many. The testing was done as part of Tom’s Guide’s first Drop Everything report. The tech publication carried out durability testing on 12 different handsets by dropping them from different heights onto wood and concrete. They performed “edge” drops, flat-face drops, and even dunked some of the devices into a toilet. The two winners were the Motorola Moto Z2 Force and the LG X Venture. The first is guaranteed by Motorola against screen cracks, while the latter sports a shockproof design and reinforced edges. So How Durable Is the iPhone X? But Apple’s iPhone X, a thoroughly non-rugged handset, came in third — beating out Samsung’s Galaxy S9, Google’s Pixel 2 XL, and Huawei’s Mate 10 Pro, among others. The Apple flagship survived both 4- and 6-foot drops onto wood. It also made it through a 4-foot edge drop onto concrete relatively unscathed. The screen finally cracked in a couple places after a face-first drop onto concrete. After that, the iPhone X suffered a couple more cracks during subsequent drops. 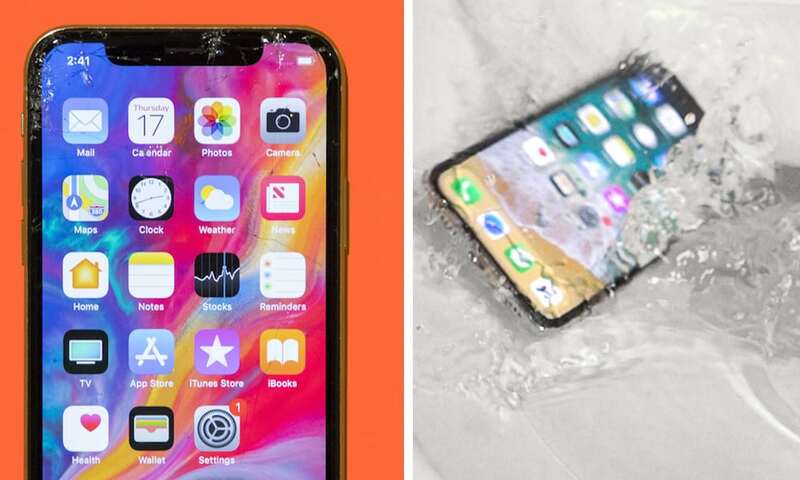 After being dropped into a toilet, the iPhone X turned off and on several times, presumably because some of the screen damage rendered it less water-resistant. After a few minutes though, the iPhone X returned to normal. Other Apple devices fared worse than the iPhone X. Tom’s Guide tested both the iPhone 8 and the iPhone SE. The older 4-inch handset actually came in last, becoming unusable after just a few tests. 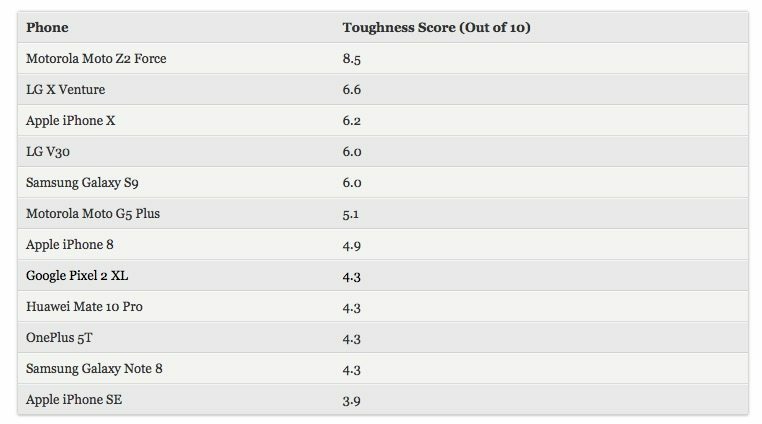 All in all, the iPhone X achieved a 6.2 out of 10 on the Tom’s Guide toughness score. For comparison, the Galaxy S9 scored a 6 and the Pixel 2 XL got a 4.3. Apple says the iPhone X and 8 sport the “most durable glass ever made in a smartphone.” It’s structurally reinforced and uses a so-called strengthening layer that’s 50 percent deeper than past generations. On the other hand, other drop tests have resulted in more significantly damaged glass. So while the iPhone X may be incredibly durable for its all-glass design, your own mileage may vary. Keep in mind, however, that no phone is unbreakable. Apple’s iPhones are no less durable than other popular competitors on the market, like Samsung or Google. On a similar note, a small but growing number of users are complaining that the camera glass on their iPhone X devices has cracked — despite the devices never having been dropped or exposed to extreme temperature changes. Since the iPhone 7, Apple’s camera lenses are made of sapphire. While durable, they’re not entirely scratch- or crack-resistant. So it’s smart not to place your shiny new handset in a pocket with keys or other metal objects.